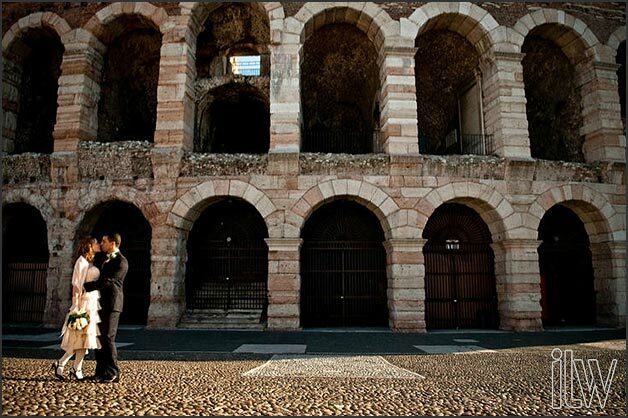 VERONA with its magical atmosphere and romance is the city of eternal love! It will welcome you and your love story! 400 years ago William Shakespeare wrote the most famous love story in the world: Romeo and Juliet. “There is no world without Verona walls”. These are the immortal words of the greatest writer of all time. You will feel the same after a few days spent visiting the city. 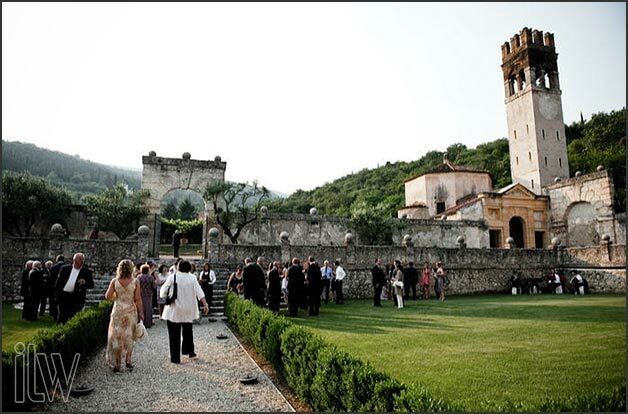 We are sure you will find in Verona the idyllic scenery for your special wedding. Get lost in the narrow streets, among beautiful buildings and churches of every age and style! Enjoy soft and pastel colors of Verona life! From famous Piazza Bra with Arena, the ancient Roman amphitheatre, to picturesque Piazza delle Erbe, the lounge of the city, with its elegant balconies and decorated facades. And again from the elegant courtyard of the Scala Della Ragione and its panoramic Lamberti Tower to Castelvecchio and its ancient bridge on the river. This is Verona beating heart. You will see River Adige ithe end of every street and its old bridges are like “laces” reflected in the waters. Following the bends of the river is the best way to discover charming corners, distinctive alleys, old courtyards and traditional taverns where to taste great local food and wines. 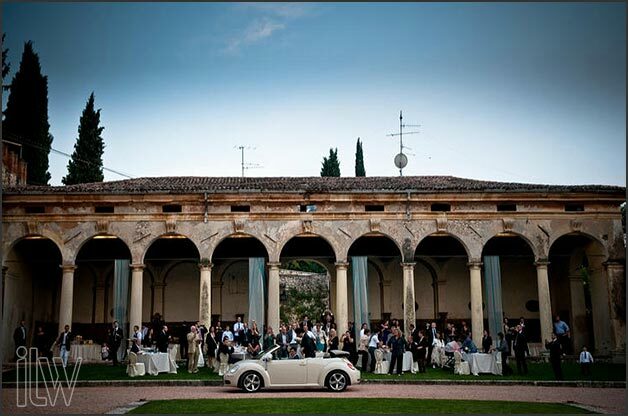 Many options in Verona for your special day! Juliet’s House with its famous balcony, is the perfect setting to evoke the magic of Shakespearean Verona. How romantic could be pronouncing here your vows of eternal love. Civil ceremony can be perfomed only on Monday mornings from 9 am to 12 am (except holidays) when Juliet’s House is closed to the tourists. 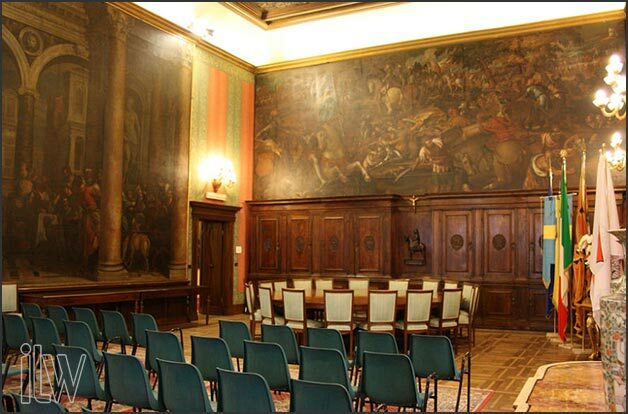 Sala Arazzi (Tapestry Room) is located on the main floor of Palazzo Barbieri, Verona City Hall. It takes its name from two wide and precious tapestries dating from the late 1500. 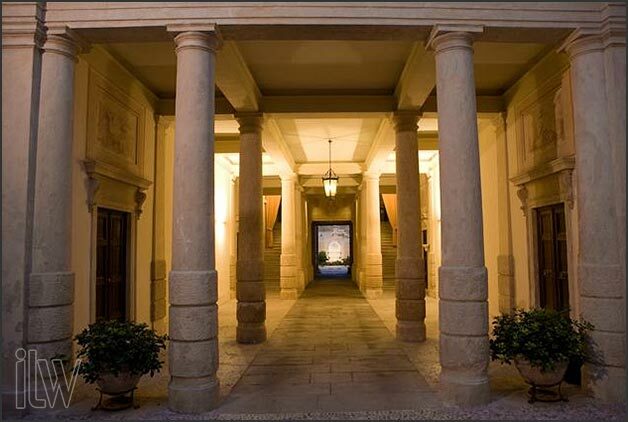 Sala Guarienti is located in the cloister of the former monastery of Minor Friars built back in 1230. It now houses Fresco Museum. According to local tradition, there should be a sarcophagus in the monastery’s crypt that holds Juliet’s remains. 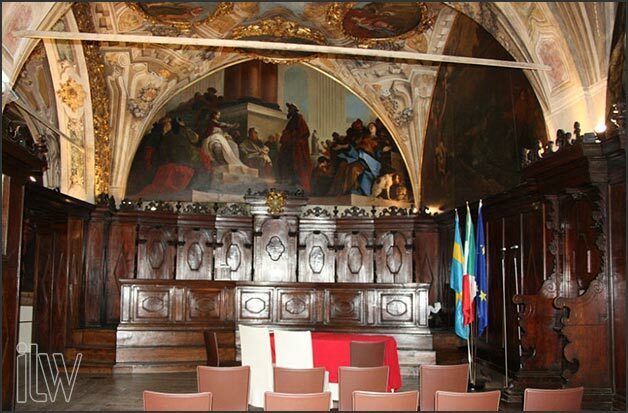 Notary’s Chapel is the most beutiful room in Palazzo della Ragione, former City Hall. 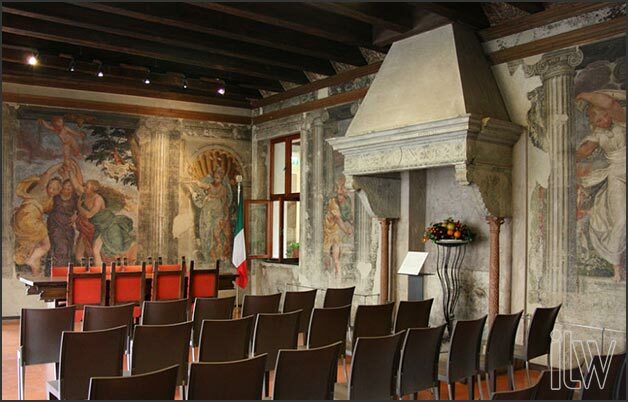 This venue is probably the most elegant and charming thanks old wooden benches and its frescoes. Notary’s Chapel can accommodate up to 50 people. 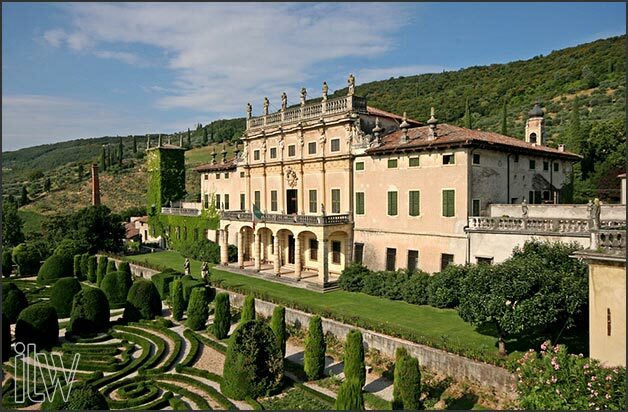 In addition to these evocative venues, Verona allows civil ceremony with legal value in some elegant and private residences such as noble Palaces with their beautiful gardens in the very heart of the city or amazing Villas around the hills of Verona for a bucolic and refined wedding. This allows you to celebrate your Civil Ceremony and Wedding reception in the same place. A great solution if you want to avoid to many transfers! Verona offers a large range of amazing churches. 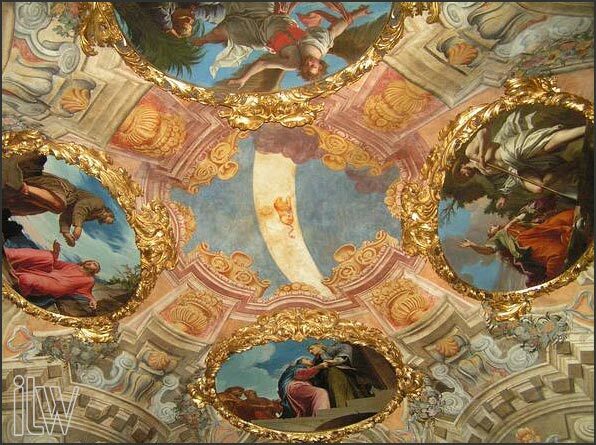 You can choose among impressive churches with rich decorations, or austere and mystical ones. 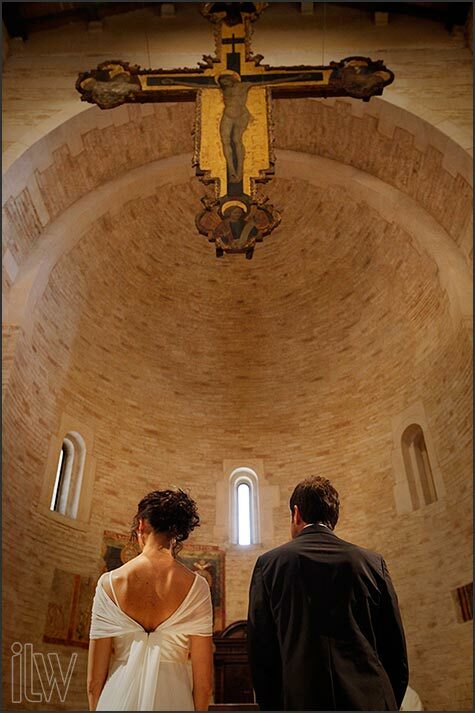 whether you choose a church in the historic centre, or a church on the hills surrounded by vineyards, you will find there the right atmosphere for an unforgettable and moving ceremony. St Anastasia Abbey – this is a perfect frame for a lavish wedding. 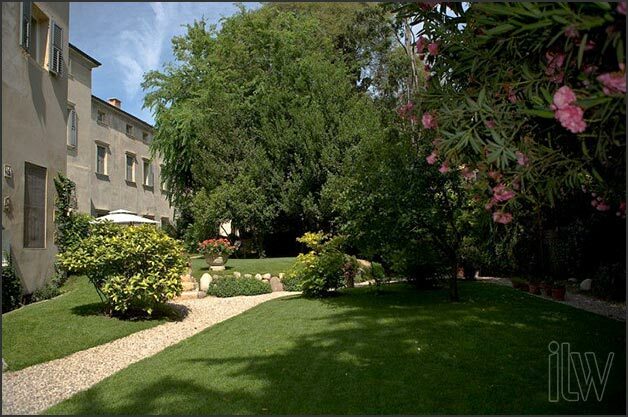 It is a wonderful Gothic cburch located in the heart of Verona, close to the bend of Adige river where Pietra Bride is. This is oldest bridge in the city. 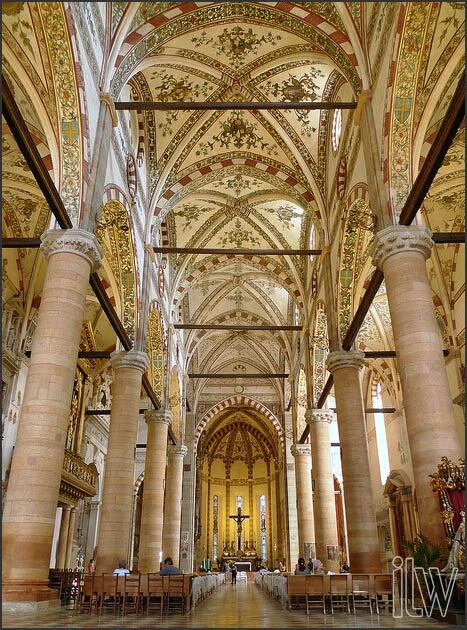 Church interior is divided into three naves with a barrel vault. Aisles are separated by a series of six columns in white and red marble. A wonderful atmosphere if you are looking for a cathedral wedding. St Lorenzo church – it is located in the city centre. It is a Romanesque church it is austere and mystic. You will be enchanted by the singular style of its walls with alternating rows of stone and red brick. 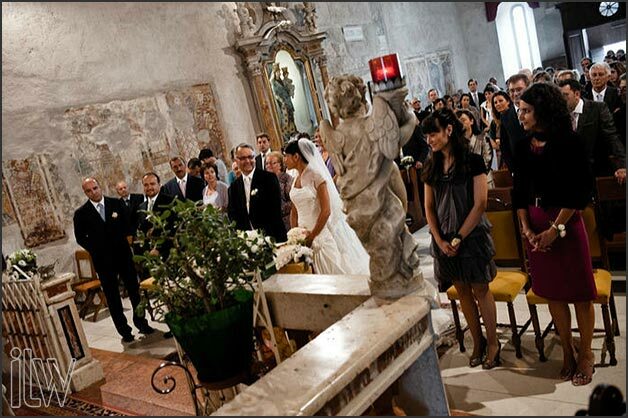 An amazing atmosphere for a romantic Verona wedding. Baptistery of the Cathedral – it essential area for a romantic ceremonies, simple and elegant, In the centre of the church there is the baptismal font built in 1100. It has been carved from a single block of marble! 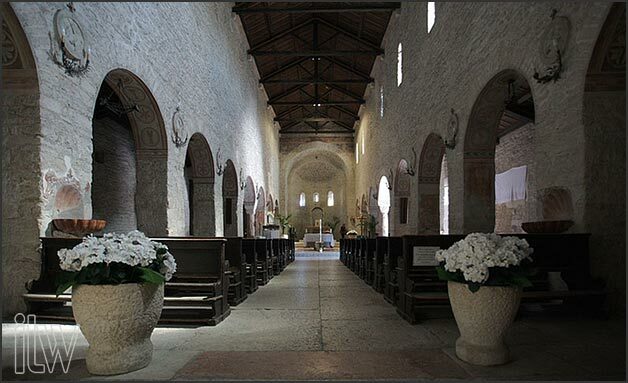 St. Giorgio in Valpolicella – A little example of a lovely country churche on the hills around Verona. It probably the most beautiful! A pretty medieval church. 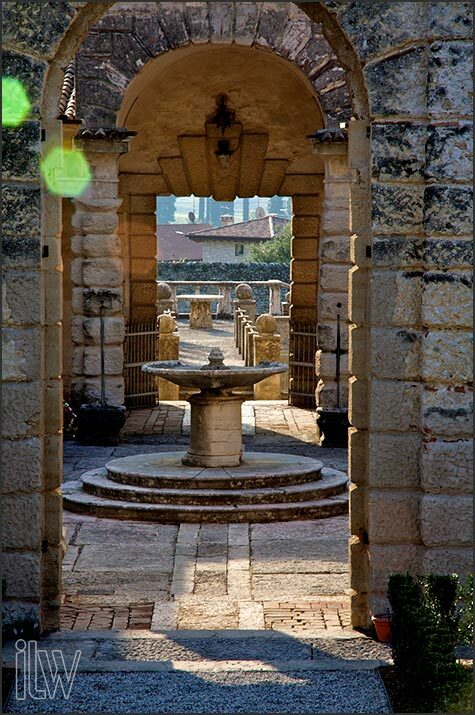 Its stone walls, large massive columns and small colonnade cloister make it an enchanting and mystical ceremony venue. From church hill you can enjoy the view over the famous vineyards of the area. 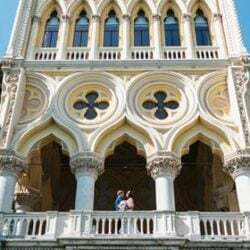 If you just want a special moment for the two of you, to declare your love on the most famous balcony in the world, you can do it in Juliet’s house every day during normal opening of the House. An intimate moment for you to declare your love…what about a really romantic engagement? If you want to renew your wedding vows a professional can conduct a tailored ceremony built on your tastes, wishes and believes. 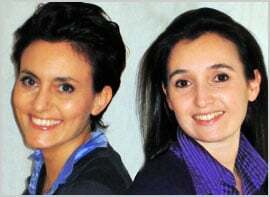 You can do it every Monday morning at Juliet’s House and Sunday morning in Sala Guarienti. Symbolic ceremonies can be celebrated everywhere in most beautiful venues in Verona: a flowered garden of a wonderful historic building, a villa among the vineyards, or a terrace overlooking the city. Art, history, nature…. Verona is all this! 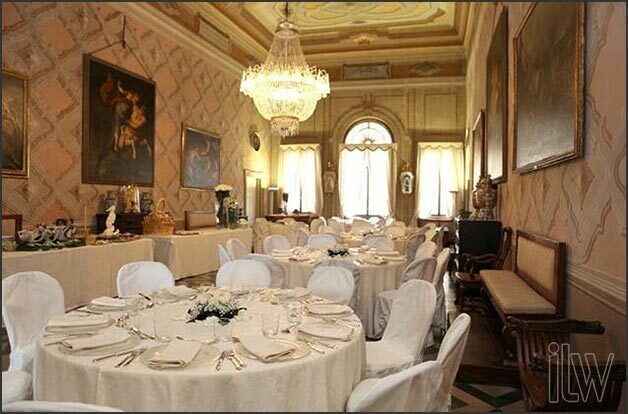 You can plan your wedding reception in private villas in the heart of the city and taste elegance and charm of Verona. 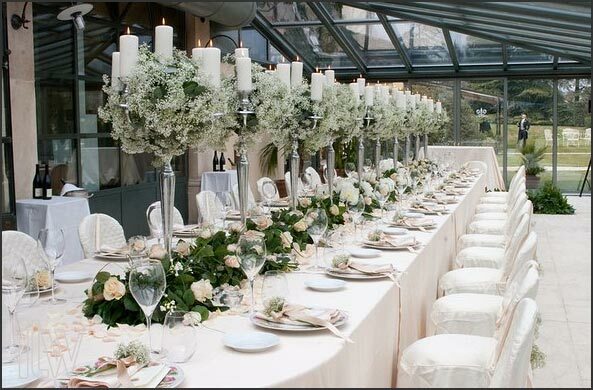 Other options for your wedding reception could be: a breathtaking terrace overlooking the city, a garden, a luxury hotel, or a gourmand restaurant in one of the narrow cobbled streets in Verona. But if you are looking for a country atmosphere you can find the right place in Verona surroundings! This is the area where most of famous Italian white wines are produced! Beautiful villas and farmhouses could be the right venues for your country wedding. You could choose between an informal country pic nic reception in the vineyards or in a gorgeous old villa for an elegant countryside party! 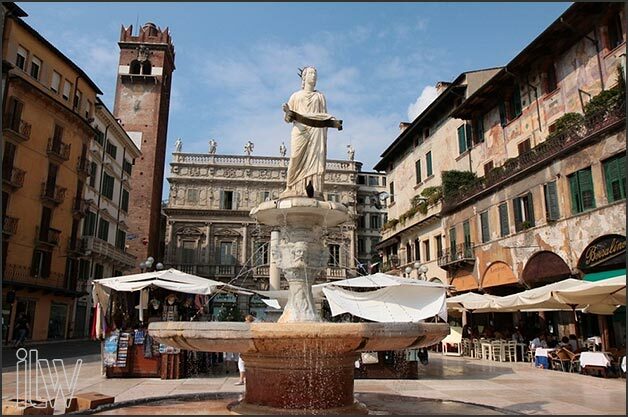 Verona has an ancient and glorious tradition of good food and wines. You can find here gourmand restaurants, taverns and great chefs. You can also take the chance to taste the most famous wines of the area as Valpolicella, Bardolino, Amarone, Soave, Lugana, Pinot Grigio, and dessert wine Recioto. 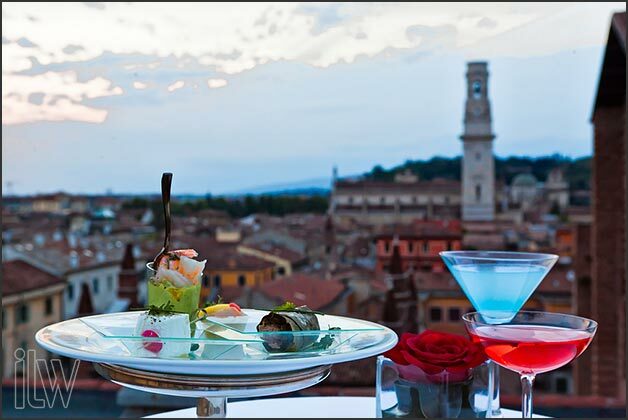 We can suggest several options to fully enjoy your Italian days in Verona. 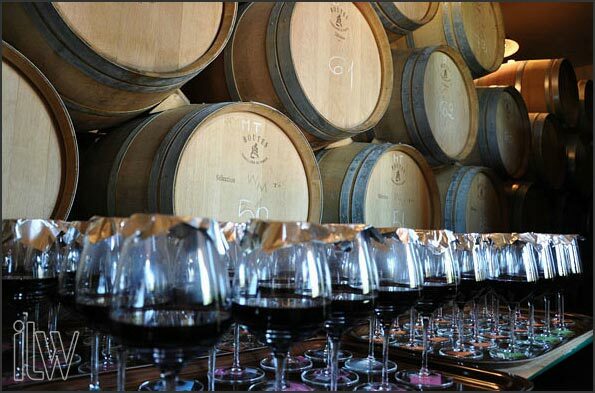 We can organize a city tour or a pleasant tasting of the best Italian wines in the unique atmosphere of historic cellars among old barrels and lovely architecture. 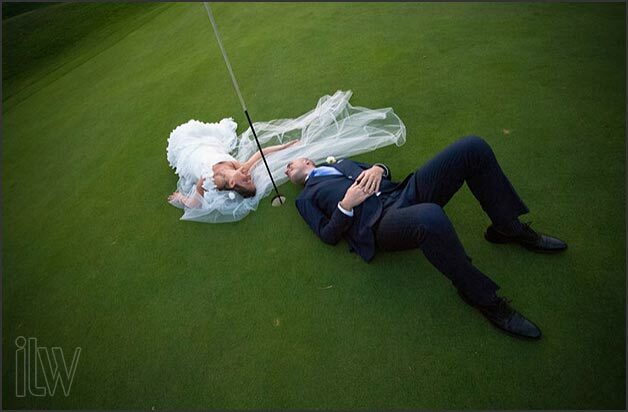 But it’s not all… you can enjoy some golfing in one of the eight golf courses around Verona and Lake Garda. Play Golf on Lake Garda is a unique experience for golf fans! Golf courses merge perfectly with the different landscapes of the lake. Last but not least some relax in a dreamy atmosphere on one of the ancient thermal baths of Sirmione. Here you will find the best care for your body and spirit. Of course we are at your disposal to suggest how to make celebrations special with an unforgettable honeymoon on closeby Lake Garda, or romantic Venice few kilometres from Verona. 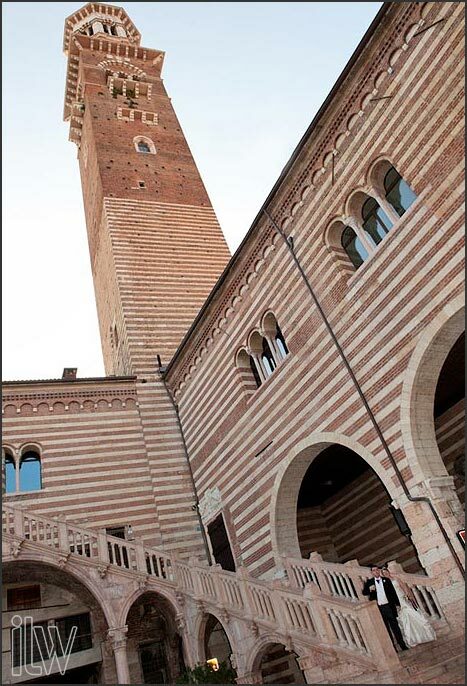 We would be pleased to share with you and your guests our passion and love for Verona.